In this review of Automated Financial Markets we prove that this robot is a scam that is lying to you. Automated Financial Market has a brief presentation. 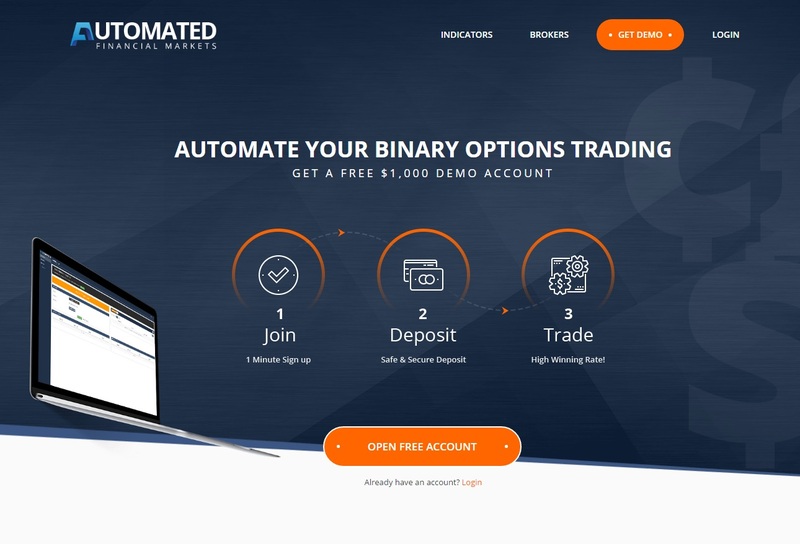 It is a binary option robot that allegedly has a high winning rate. And it is free, so you supposedly can make money for free. Automated Financial Markets is unfortunately just another scam robot based on the White Label Robot. 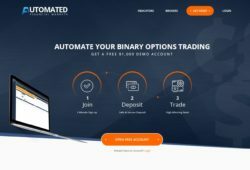 This software is used by a lot of binary options scams. Look at the picture to see some examples of other scams based on the exact same app, like Option Robot, ProBinaryBot or Binrobot Lady. The worst thing about this software is that it uses a fake demo. In other words the Automated Financial Markets demo uses fake prices to generate profits that would not happen in real trading. Look at the video to see a proof. And if you don’t see through this dirty trick and open a real account with real money, the robot will of course lose your money, because real trading results cannot be faked. So Automated Financial Markets is a very dangerous scam. Maybe you already guessed it, but let us explain how Automated Financial Markets really works. 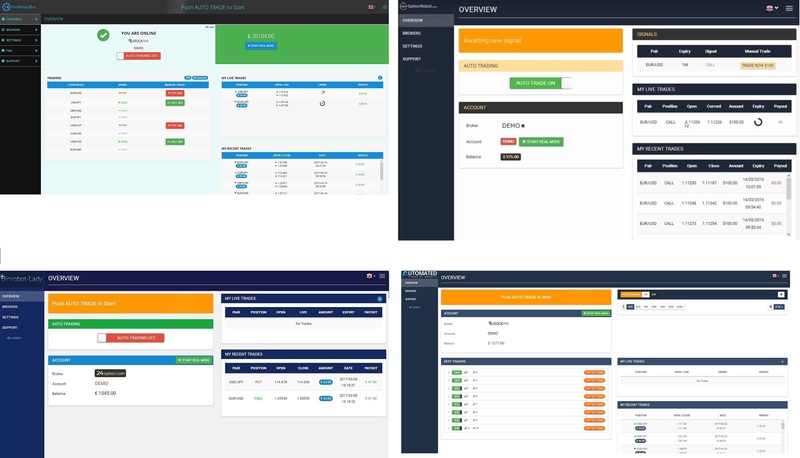 It does everything it can to persuade you to deposit money with one of the brokers from their list, because people who run this robot are getting paid by these brokers for referring new depositors. So they use the fake demo just to convince you to deposit money, because if you do it, they will get paid an affiliate commission. Automated Financial Markets is a dangerous scam that uses a fake demo to make believe that it is profitable, but it is not! If you want to try genuine binary options trading to see how you can make money, do it on a free demo account with a regulated broker. You can also use the demo to compare prices to see that Automated Financial Markets is not real. site, and I used to visit this website every day.